On the other hand, almost half of respondents — 46 percent — said they believe AI will harm people by taking away jobs. And 23 percent believe it will have more serious, negative implications. Even those optimistic about the future of AI predict that it will replace human workers. 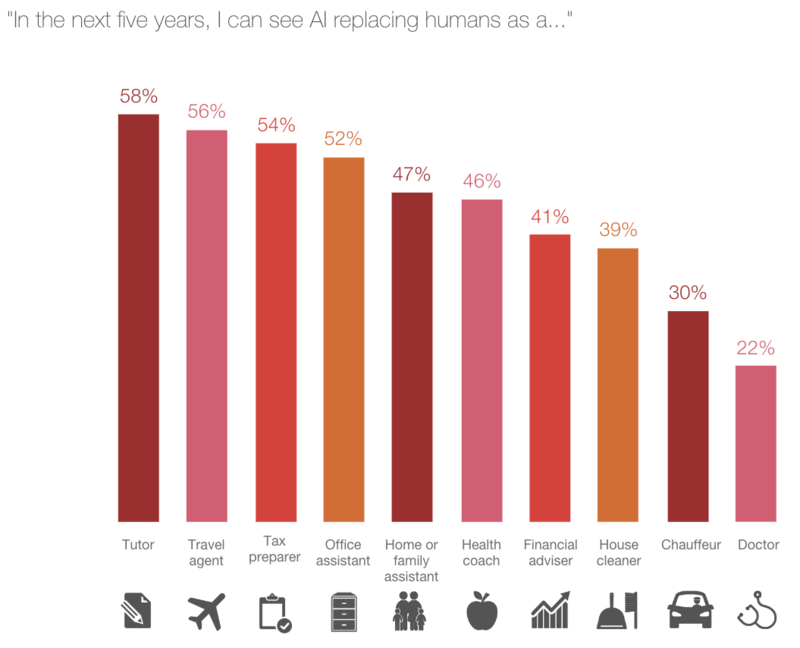 In the next five years, more than half can imagine AI assistants replacing humans as tutors (58 percent), travel agents (56 percent), tax preparers (54 percent), and office assistants (52 percent). However, consumers still have doubts and/or reservations about AI becoming home assistants, financial advisers, chauffeurs, or doctors.